Pedals is taking the lead in reviving plans for a foot-cycle bridge over the Trent east of Lady Bay bridge, focusing on a link between Trent Lane and The Hook, the open space by the Lady Bay area of West Bridgford which we are now convinced is the best location overall, and the only one with a good prospect of attracting the necessary funding. 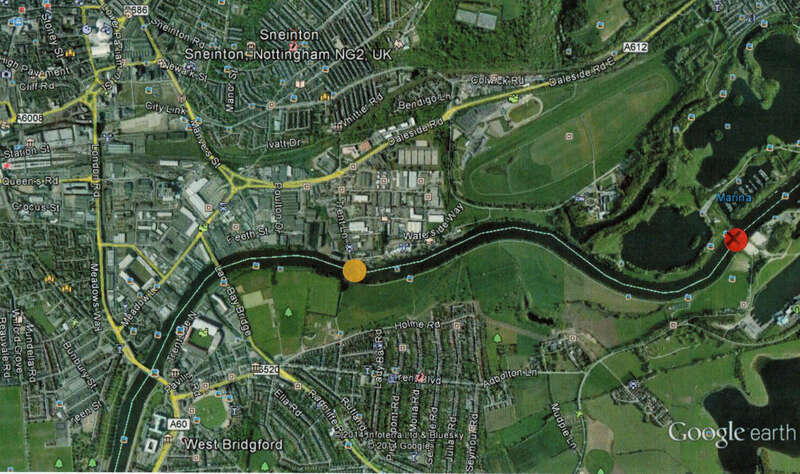 Yellow dot shows the proposed site between Trent Lane and The Hook open space on the Lady Bay, West Bridgford side. Red dot shows the site first proposed in 1998 by the City Council (as part of their Emerald Necklace project) directly connecting Colwick Park with the Water Sports Centre, Holme Pierrepont. This was dropped after opposition from Nottingham Sailing Club. 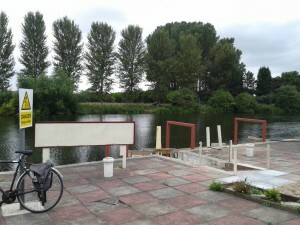 Since August 2014 there has been revived interest in the long-standing idea of providing a foot-cycle bridge across the Trent east of Lady Bay Bridge, including better connections between Colwick Park and Holme Pierrepont Country Park and National Water Sports Centre. Previous schemes have come to nothing for various reasons but we now think there is a real window of opportunity to make progress at last. Pedals has been strongly encouraging this new momentum which would help to provide much safer, direct and more pleasant links for cyclists, walkers and runners, and be a very useful facility for both leisure and commuting use. Its value as a commuting link for cyclists would be all the greater with the plans the City Council now has for improved cycling provision on Daleside Road, and provide a much safer route than Trent Bridge or Lady Bay bridges which are very busy and intimidating. Given the shortage of public sector funding for such projects we think that the only way to get this project off the ground is to work closely with private developers, and taking advantage of the opportunities arising from the major development plans soon going ahead both north and south of the river. Developer contributions from several different schemes could help to pay for the bridge as well as some charitable sources such as the Nottingham Bridge Estate. Of particular importance in the near future are the plans for major redevelopment of the Trent Basin site, which over the next few years is likely to extend much of the way from Trent Lane to Lady Bay Bridge. This is being carried out by Blueprint Regeneration with the backing of the Homes and Communities Agency. 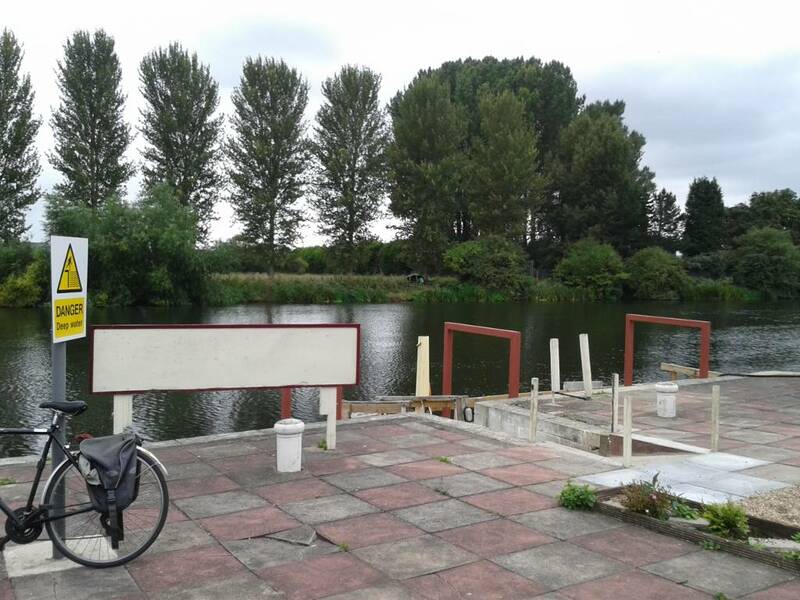 We are therefore working closely with Nick Ebbs of Blueprint Regeneration, who is very keen on the idea of this link, closely related to various other sustainability features in the development, and a new stretch of riverside path west of Trent Lane. Another key player is and John Rhodes of Trent Park Developments, who was responsible for the River Crescent development block completed in 2008 which included a new stretch of riverside path helping to connect Trent Lane towards Racecourse Road and Colwick Park. There is also the opportunity get developer contributions from other projects like to go ahead nearby, e.g. close to the \Park Yacht Club. Another vital player in this revived interest and momentum is Tom Huggon, a well-known and very experienced environmental lawyer and campaigner, and local Open Spaces Champion in Nottingham. The existing riverside paths on both banks of the Trent help people to enjoy the Trent riverside by bike, on foot and running, and as part of the project, we are keen to see further riverside paths and upgraded links, on both banks of the river and including a continuous link on the north bank between the Victoria Embankment and Colwick Park, extending the path under Trent Bridge to Meadow Lane lock completed in 2009, as part of The Big Track scheme. We also want to see commuting links improved south of the river, especially between the bridge site and the new housing to be developed in the Gamston-Tollerton area. To help promote public support we have already held several meetings, including a very useful public meeting on 22 October 2014 organised by the Lady Bay Community Association, which generated lots of questions and interest. By the beginning of this year we had managed to get support in principle for the bridge from no less than 18 local organisations, which is very encouraging. Our next step is to organise a feasibility study to demonstrate clearly the sound case for the bridge at this site, following the very useful advice we had at a meeting on 9 January with Matt Easter, Regional Director of Sustrans. Work on this has now started by John Rhodes and Hugh McClintock. The south end of the proposed bridge would like directly to Sustrans National Cycle Network Route 15 (and the Trent Valley Way) and we are very keen to get support from Sustrans and benefit from all their experience with such projects elsewhere in recent years. 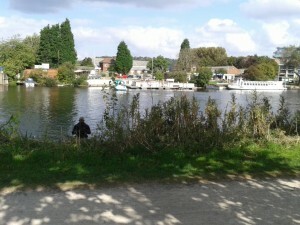 We are also working closely with the County Council, the City Council and Rushcliffe Borough Council and plan meetings soon with other important organisations such as the Environment Agency and the Canal and Rivers Trust. Other organisations will need to be consulted with regard to the interest of river users, anglers, horseriders and nature conservation etc. We are very keen to continue to build up further public support in parallel with developing the case for the bridge in more detail and sounding out various sources of possible financial support, in parallel with completing work on the feasibility study. Sir Paul Smith has added his name to the list of bridge supporters. There’s an article in today’s Nottingham Post by Mark Patterson on the proposed foot-cycle bridge between Trent Lane and The Hook. After a long and tortuous process and much further work on possible north bank bridge landings, in particular, we recently obtained the support in principle of Cllr. Jon Collins, the Leader of Nottingham City Council. However his letter made clear that we could not expect direct financial support from the City Council. 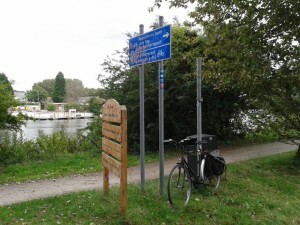 We have now started, in cooperation with Sustrans, to step up our search for sources of funding, while also having further detailed discussions with interested parties about a slightly revised bridge site, a little further upstream, and how this would best relate to future phases of the Trent Basin housing development, the extended north bank riverside paths and the new Eastern Cycle Corridor cycle path on the north side of Daleside Road.